Planning the perfect date night in can be stressful: it takes a lot of time to prepare, you don’t know the proper way to set a table, you’re nervous about whether or not you’ll live up to your partner’s expectations... the list goes on. Whether this is your first time planning a stay-at-home date night or you’re out of ideas for DIY romantic dinners, it IS possible to get it right the first time. With only a few simple pointers, you’ll soon be well on your way to scoring brownie points with your loved one. Compare these songs to the mood you want to set - do they match? What will the entree be? Which side dishes and appetizers would complement or tastefully contrast with the entree? Will you include a salad or palate cleanser between meals? Your entree should be the focal point but that doesn’t mean appetizers, side dishes or desserts should be ignored. Prepare a balanced meal, like raspberry chicken with creamy mashed potatoes and smartly seasoned brussel sprouts. If your partner prefers vegetarian fare, impress them with smoky grilled eggplant stuffed with cream and ricotta cheeses for a complex taste that’s to die for when paired with a light blend of roasted peas and sweet succotash. Alternatively, a simpler yet refined plate may better suit your partner’s epicurean style, like roasted leg of lamb with stone-ground mustard sauce served alongside finely smashed baby red potatoes and traditional southern succotash. 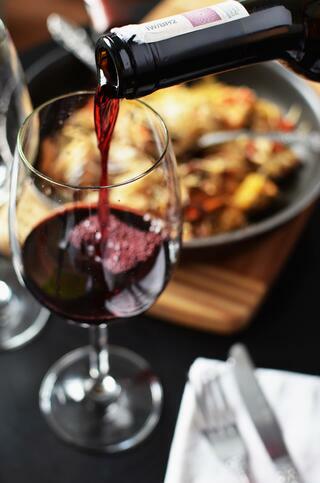 Select a wine that pairs well with your entree, or celebrate with a signature drink you share. Planning a romantic dinner at home is about more than delicious foods - it’s about curating a menu to set the perfect mood. Choose the extra touches that will blow your partner away. A bouquet of their favorite flowers, Hallmark card delicately spritzed with your cologne or perfume, that dress shirt or dress they love to see you wear. Did your partner offhandedly point out an interesting item or trinket? Surprise them with that special something for a gift that shows you listen and care. 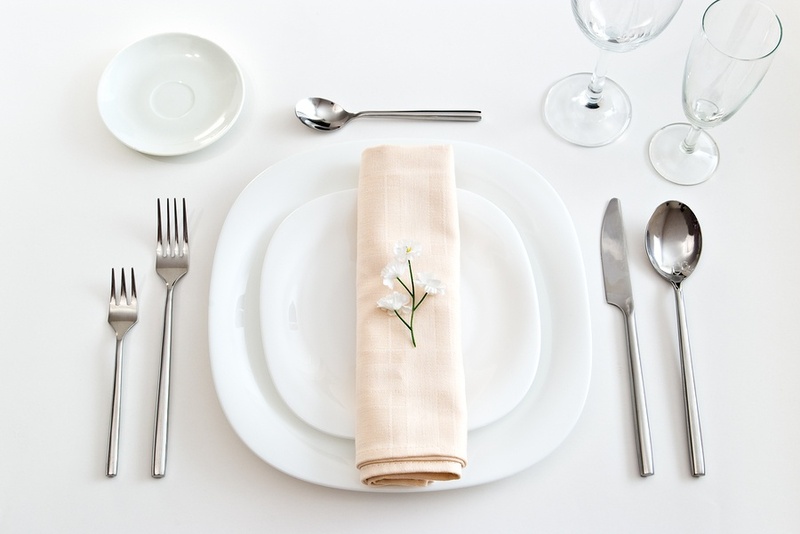 This is your chance to put your research on place settings to good use - set the table based on proper etiquette to demonstrate your thoughtfulness and attention to detail. When planning a romantic evening in from start to finish, you should also consider what entertainment you'll have cued up after dinner. Lead your loved one to the next step by preselecting a favorite movie of theirs, cult classic you both love, or cutesy rom-com for after the meal. A few of these suggestions may sound a little cliche, but the truth is that combining all these little pieces together paints a beautiful picture of your devotion to your loved one that they’re likely to appreciate. Blow your partner away with the little details that tie everything together to set the perfect scene. If you chose to purchase one of the gourmet frozen meals listed above, cleaning up during your after-dinner high is virtually painless - all you need to toss in the dishwasher is one pot of boiling water, your dinner plates and silverware, and drinking glasses. Compared to all the pots, pans, lids, tasting utensils, blenders, rice cookers and other various kitchen appliances you would have needed with a home cooked meal, cleaning up after cooking a frozen gourmet dinner is a breeze. To make it even easier, here’s a pro-tip for you: when setting the table, lay down a clean white tablecover first - that way, once you remove all plates, glasses and silverware, you can simply ball up the table cover to gather any food remnants and dump them in the trash. Toss the tablecover in with the rest of your laundry and voila! you’re done with cleaning. 0 minutes before: sit down and enjoy yourself! TELL US ABOUT YOUR DATE NIGHTS! What do you think of these 5 keys to planning the perfect romantic dinner at home? Have you ever planned a romantic dinner at home before, and if so, what did you do? Tell us your experience in the comments!